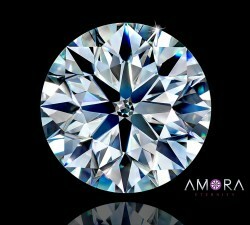 Amora Gem - What countries can they be sold in? Are mined diamond prices artificially controlled? Does DeBeers still have a monopoly? Round Size comparison - what size is right for me? In stock - ships with free Overnight shipping Monday-Thursday orders before 1PM PST. "Overnight" Takara lab diamond Super Ideal H&A Earrings (order today, wear tomorrow): Our Incredible Takara Super Ideal Eternity H&A 4-prong Martinis, in Platinum, with Protector Locking backs. 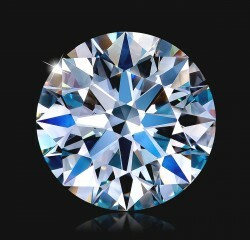 "...without a doubt one of the most exquisite diamonds in existence." "So much fire and brilliance..."
"I can't believe the beauty of this diamond"
Please note - Takara's are 100% real diamonds, lab grown instead of mined, and cut to Super ideal H&A Eternity, AGS-000 equivalent. This is the ultimate in round cutting precision for maximum fire and brilliance. Our stunning, Takara lab diamond Super Ideal Eternity H&A rounds set into 4 prong, platinum martini settings with Protektor locking back system - the ultimate diamond studs! Our Takara lab diamond Eterrnity earrings are true, Takara white lab diamonds cut to Eternity H&A Super Ideal standard, with independent diamond grading reports! We've sold a lot of earrings over the past decade, and the clear winner for the most popular is our 4 prong Martinis with Protector locking backs. Thus, we've focused on perfecting the logistics of these in order to pre-stock, reduce the cost per pair while perfecting the setting work. These earring settings feature Martini-style mountings in order to fit snugly with minimal droop during wear. These ship in our all-wood earring boxes, ensuring a quality presentation experience versus many of the 'felt' holders others ship their earrings in. We use only the proven, die-struck Protektor earring locking system that assures constant and reliable gripping power to minimize the chance of losing a stud, plus easy on/off via the release tabs. (Friction backs hold well for a while but slowly and inexorably lose their spring and thus gripping power...until they fail, and usually result in the missing earring being noticed too late to recover). Details, Details, Details: In addition - we use Platinum for the mountings and then finish these with rhodium plating to give you a stunning high gloss finish while keeping the durability of platinum. We also polish the interior of the earring prongs before seting, to ensure that every angle of your studs, even in the interior, has sparkle and life. 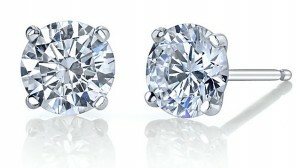 Our 4 prong Martini style earrings are low-set, highly visible, and simply beautiful! The 4 prong is preferred over the more typical 3 prong as the 3 prongs tend to create a triangular look to what should be a round look..thus the 4 prong preference. Got the earrings. Holy smokes are they perfect.